This magnificent example of craftsmanship is a testament to the durability of design and the actual improvement in appearance over time of a finely made shoe. No shoe can compete with the 30 years of polishing that has gone into this legacy, the surface of which has taken on the aspect of old French-polished rosewood furniture. 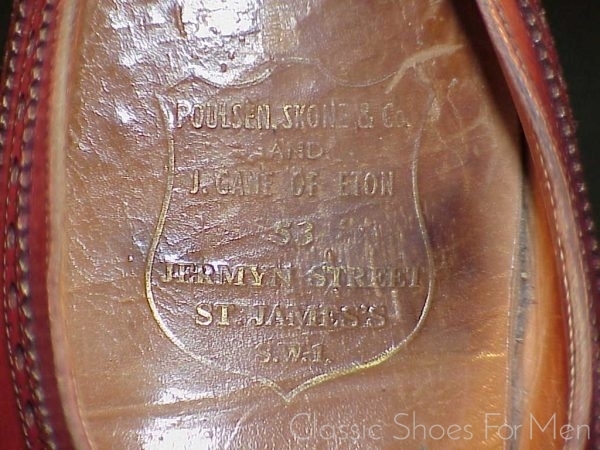 The history of Poulsen Skone & Co. is well known; established in the 19th century and in continuous operation for 110 years until the death of Sidney Skone, the firm was incorporated into New & Lingwood in 1972. 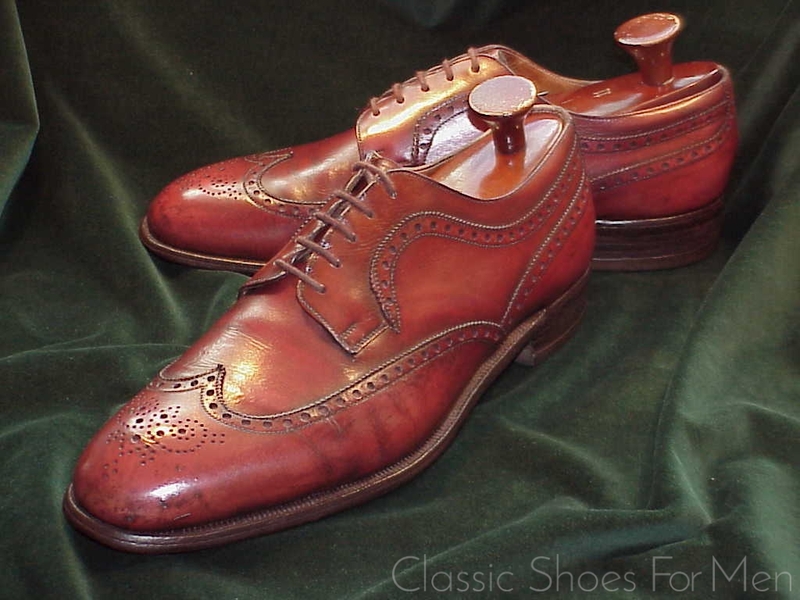 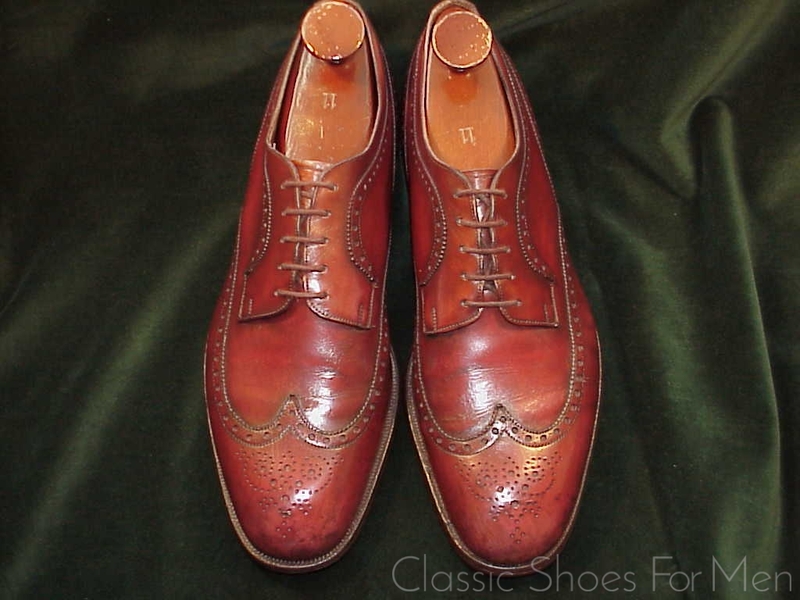 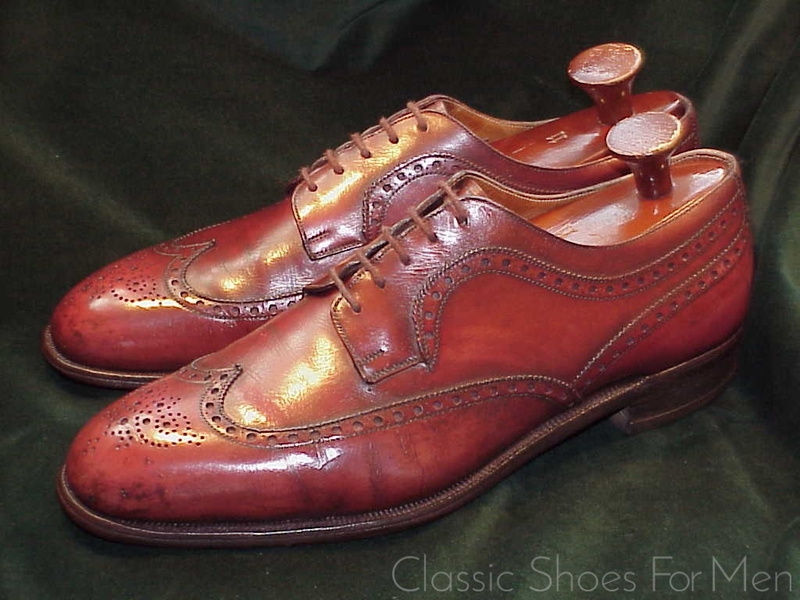 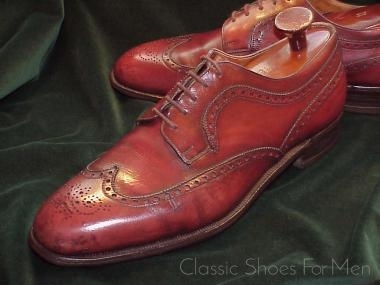 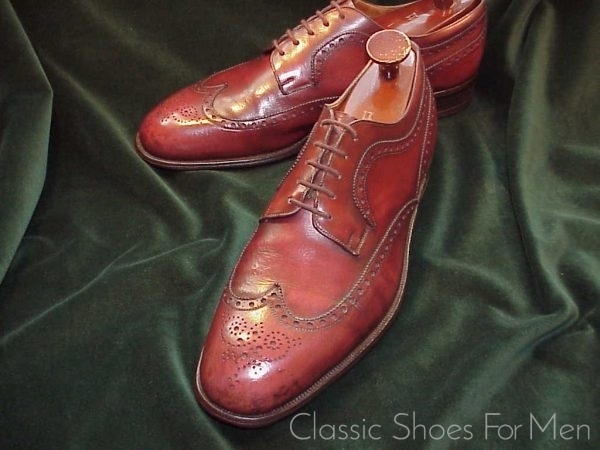 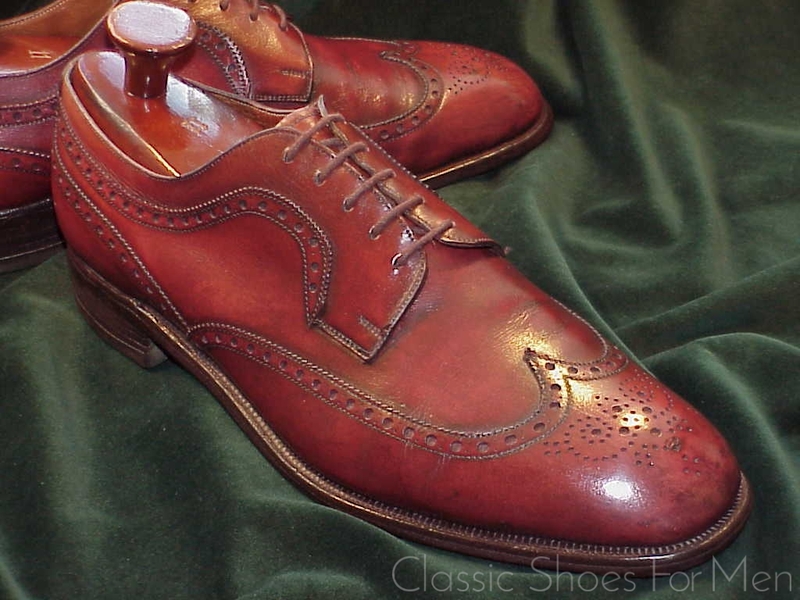 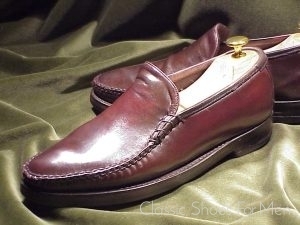 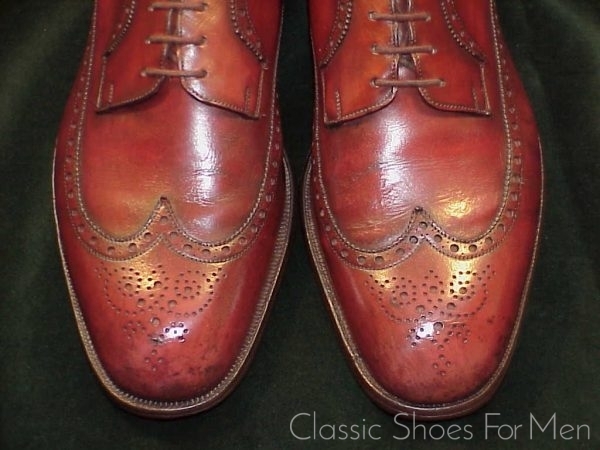 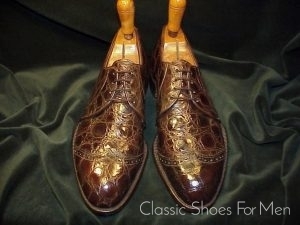 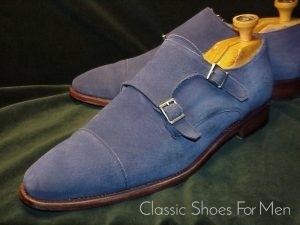 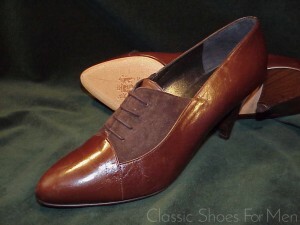 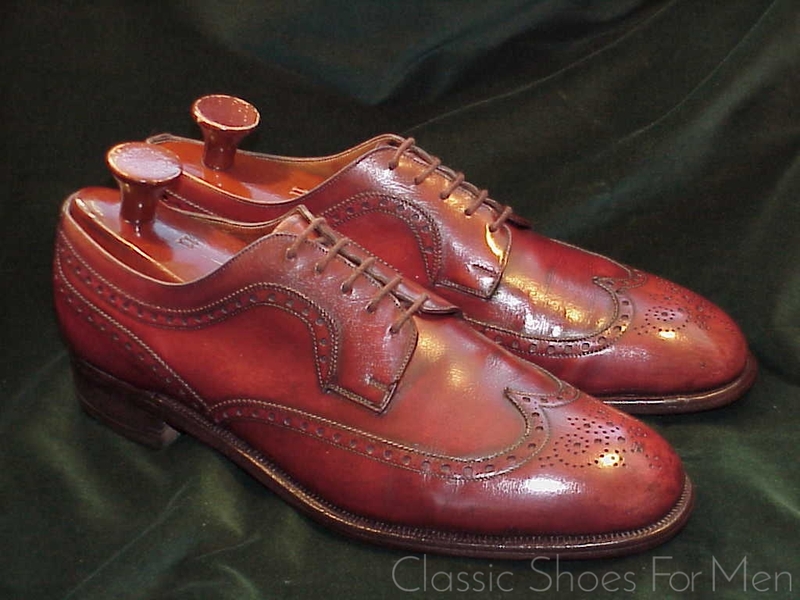 And it was during the 1970s and 1980s that the legendary George Cleverley, in the last years of his illustrious career, oversaw the design aspects of the firm, while the execution was entrusted to Edward Green, then as now, arguably the “best among equals” of the first rung of English shoemakers. Shoes from the heyday of these firms are milestones in the history of English shoemaking, and the few remaining examples, “touched”. 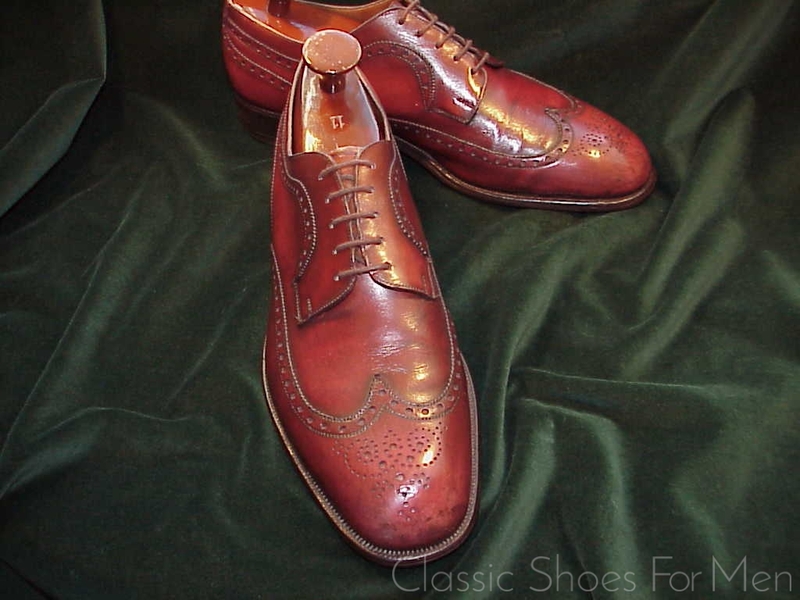 as they were by Cleverley and constructed by Edward Green to bespoke standards, are highly desirable and destined for the advanced collector. 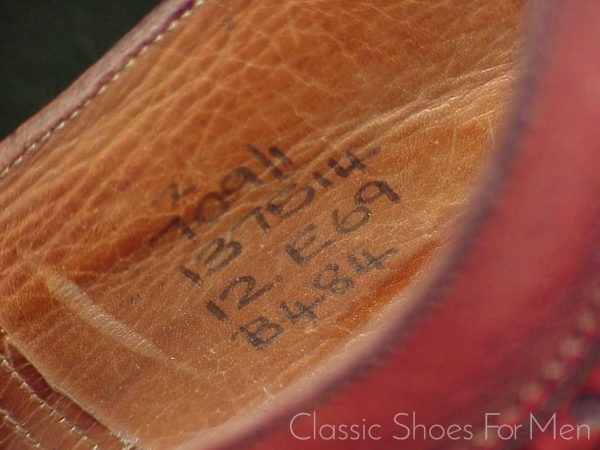 UK 12E.......US 12.5-13D......Continental 46.5-47, for the medium width foot. 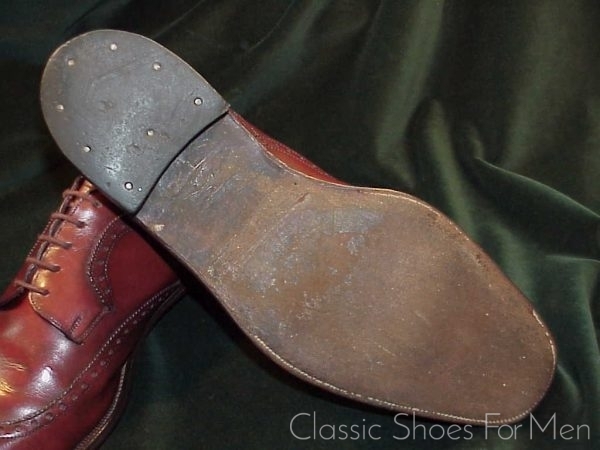 Original soles moderately worn, skiving mostly worn, exposing channel. Replaced heels showing minimum wear. Uppers: very fine, with lovely patina.